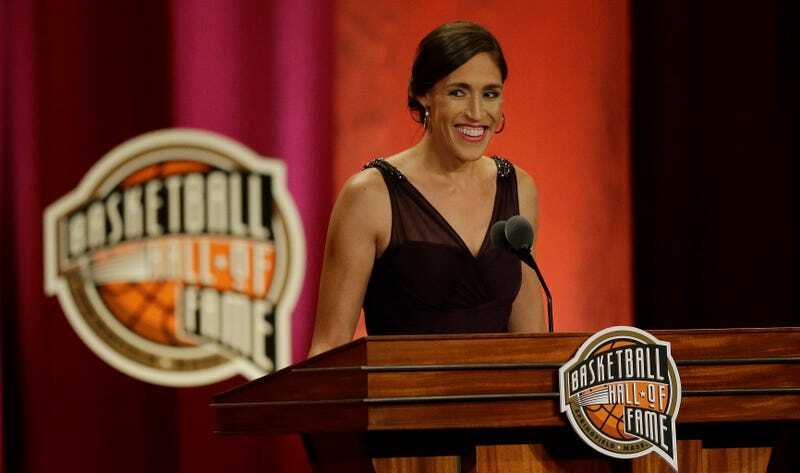 Rebecca Lobo was inducted into the Naismith Memorial Basketball Hall of Fame last night. Lobo was easily one of the greatest players in college basketball history, leading the Connecticut Huskies to an undefeated season and an NCAA Championship in 1995, and winning just about every individual award there is at the conclusion of that season. The whole thing is great, and you should watch it from start to finish.